Zelda Reorchestrated. I don't know where to begin! In case I go off on a long story about ZREO, here are some solid facts you should know. On June 12, 2013, the Zelda Reorchestrated site will be closing down. That site alone will be closing its doors, for-(the foreseeable future)-ever. Some good news, Radio Hyrule will be an independent project and will in effect cut all ties to ZREO. The music will still be available for download (Twilight Symphony not withstanding) for as long as my friend who owns it can keep it running. If you would like to download all, some, or any of the music available from ZREO, you can do so from the mirror site right here, for free. The music is in MP3 form (some in FLAC), and re-tagged compared to ZREO's original release. There are also ZIP files available for download (torrent-free). The ZREO YouTube channel will still be around, if you prefer to stream over downloading. If you were wondering why we haven't posted about their Twilight Symphony music videos, it is because of this article being held up. Two videos are after the jump, including the most recent one, so be sure to check them out along with the full album as it is released! Those of you looking for Twilight Symphony have a thousand options from which to choose. You can torrent it, or you can ask me politely after you donate to ZREO. I have both the FLAC and MP3 versions (fully tagged, some people had issues with the digital release) that I can send you. Alternatively, Link's Hideaway will also be hosting a ZIP file of the MP3 version, fully tagged, etc. Hosting the FLAC would be problematic for our server, so I'll be using a different method to share it (if wanted). I think that should answer all questions that people may have that have not been answered. I have never represented ZREO, but I have always attempted to speak for them (whether they like it or not). Comment below if you have any questions! That is all the "FAQ" information I could surmise. Begin my thoughts and praise! Frankly, I am partially angry that fans of ZREO resorted to torrents to let "everyone have the music" free. To think, I already detested torrents, and now I just won't bother with them ever again. They have their uses, sure, but this case makes me think there is no practical use for them. I love ZREO strongly, and I take great offense from this action. I am not angry at any fan for downloading the album, but at the ones who uploaded it in the first place. I do not believe this to be the reason for ZREO's shutting down, but I do think in my opinion that it played a part in the digital (iTunes, Amazon) release being canceled for everyone to enjoy. 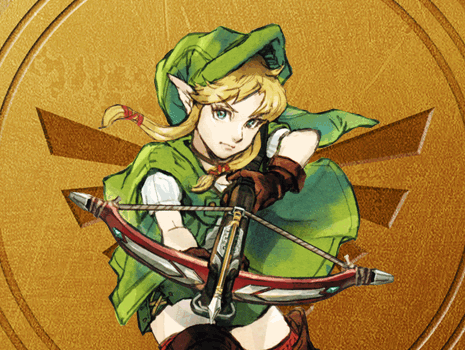 My opinion does not reflect that of Link's Hideaway or Zelda Reorchestrated. Moving on to the true reason I'm writing this article. I'll call this a memoir, a piece of writing dedicated to ZREO for all they've done for me. If I hadn't found ZREO back in my early years of high school, I would not be where I am today (quite literally). Being able to have a group of people who I could talk to everyday, and look up to, changed me. It changed me for the better, and the music amplified this. I spent years of my life not knowing what I liked, or who I was. You know, the typical things a child goes through before they enter their teens. Imagine having all of those questions answered, all of those life questions that stress a person in life, by the events and actions of one group. ZREO was that group, and they got me through so much with their talent and unbelievable kindness. I'm not trying to sound rude in anyway (if it sounds that way), but I completely bypassed those rough roads in life that I should be fretting over right now. It's like finding that hidden path in Super Mario Bros, and ending up at World 8 after you first start playing the game. ZREO showed not only me, but also hundreds of people worldwide, that young men and women could create beautiful music. Original and reorchestrated, just look at Metroid Reorchestrated and Pokemon Reorchestrated. It's amazing how far ZREO's music has spanned, and even more amazing is how great it sounds--! I'm off on a tangent. I will proudly claim that I am Zelda Reorchestrated's biggest fan. I will accept copycats, but the fact remains that I am their number one fan. I always will be, I'm stubborn on that front. I may not have had the money to donate, or the means of travel to meet them, but I tried and shared their talent with as many people as I could. I did meet them in person, once. Just that once, and it was the happiest day of my life as it occurred. I met the members of ZREO, and boy was that a trip. I ended up leaving super early because the nerd inside of me freaked out. I shook Eric's hand too, but I'm not crazy enough to go "I'll never wash this hand again!" Alright, the thought may have crossed my mind as I was washing my hands. If it is not clear, I love ZREO. I really, really love ZREO. I'll end with this. Before I returned to public school and found ZREO, I went to a private Christian school. In my final years there, I realized there was one topic I thought of at least once. Once, every day of my time there. As it was a religious school, it is obvious what I was forced to think of at least once a day everyday. Here I am, years later, and the one topic I can swear my most prized possession on that I've thought of every day since I found them, is ZREO. Every day, whether by song or by happenstance, they were always on my mind. They did so much, and I thank them all for it. I intend to email all present (and some past) members individually (maybe) to thank them all for their hard work and dedication to this project. Eric said it perfectly, and Zelda Reorchestrated's legend will indeed survive on the winds breath. They are a legend; one I can say matches that of the Legend of Zelda. To download the full Twilight Symphony album in MP3 format, go here.